Make your wedding ceremony one to remember by adding the perfect music to it. Wow VIP Events offers everything from quartets and harpists, to orchestras and singers, and more. Fill out our Request a Quote form for more information and assistance in selecting the perfect musician for your wedding. Gyros String Quartet – String Quartet formed by violist Norbert Gerl—perfect for weddings and small venues. 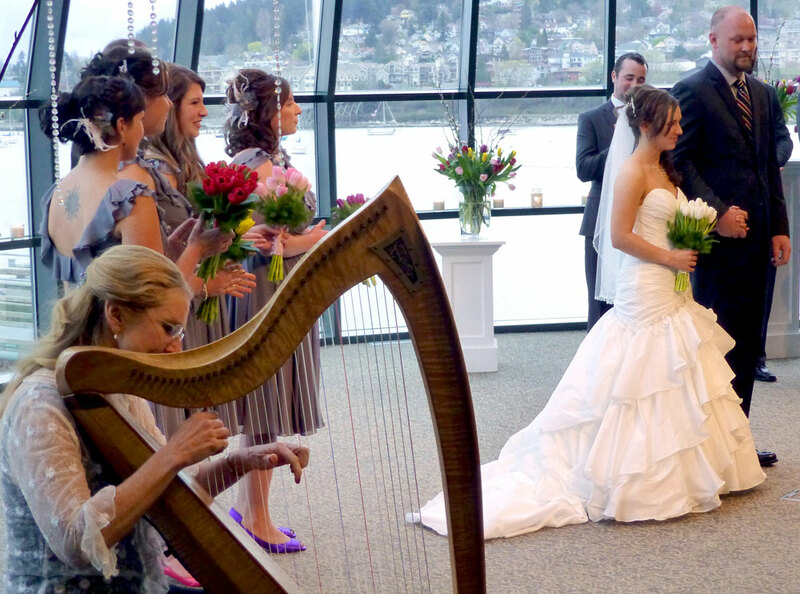 Jenny Glass Harpist – Harp and additional instruments including flute and violin—ideal for weddings, receptions and other events desiring a classic touch. The Phares Corder Orchestra and Singers – Traditional Big Band and Swing Band styles. Siman-Tov Band – Specializes in Jewish music but also plays Latin, American, Italian, French and Russian favorites.